I've never liked fish balls before, I always found it too fishy for my taste. You know, not the good kind of fresh-fishy smell but rather strong-dead-fishy kind of smell. 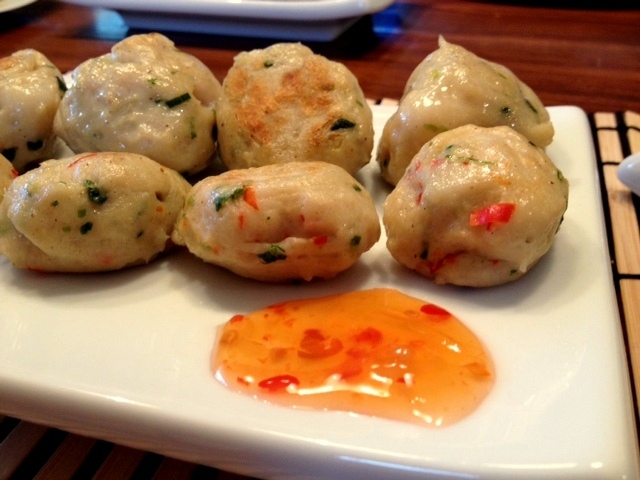 Fortunately, my fishball-phobia is now gone after I try this recipe. It was easy, cheap and very good! 1. 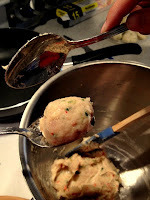 After you pound the fish fillet into a paste, add in Soy sauce, Sesame oil, Scallion, white pepper, pepper and garlic. Mix well. 2. Split the mix into 2 parts, put the chili into one of the parts. I pick up a tbsp of the mix with the spoon, and try to roll it with another spoon until it become nice and round then I gently put it on my bamboo steamer. 4. Steam the fish balls for about 10 minutes. 5. If you want it to be a bit golden and crispy on the outside, fry the steamed fish balls with sesame oil until they turn golden. 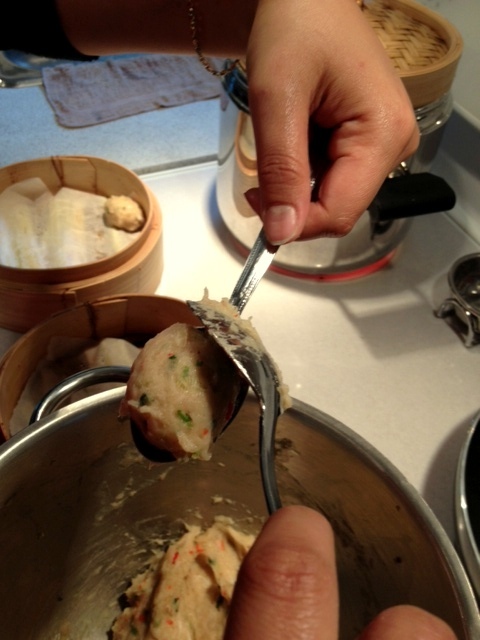 PS: If you are curious about what is underneath the baking sheet on my bamboo steamer, it was shredded lemon grass. I thought it might help to give a hint of lemon-grassy but it was not a big success. I guess I should have not layer it with baking sheet.